Many people do not fully understand the impact a mental disorder can have on a person’s ability to concentrate or perform daily tasks. Those with qualifying mental disorders that prevent them from working are entitled to seek Social Security Disability (SSD) benefits. Unlike physical impairments, however, the specific limitations mental disorders pose for individuals are often harder to define, much less demonstrate. At Pulgini & Norton, LLP, our lawyers help individuals throughout the Greater Boston area and Massachusetts obtain the SSD benefits they need to maintain a quality standard of living. 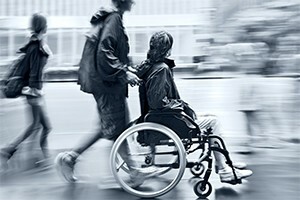 With more than 40 years of experience handling Social Security Disability claims, we bring a thorough understanding of the procedures and complexities of the SSD process to each case. To learn more, contact our firm to speak with one of our experienced SSD lawyers. Schedule an appointment and consultation by calling 781-843-2200 toll free. We work with independent physicians and psychologists to demonstrate the full impact your disability has on your life and why it prevents you from working. Should your initial claim be denied, we can help you file a request for reconsideration as well as a request for a hearing before an administrative law judge if necessary to obtain the benefits you need. If a serious mental condition prevents you from working, contact us via e-mail to learn more about your options for pursuing Social Security Disability. Schedule an appointment with one of our Massachusetts attorneys by calling our Downtown Boston, Hyde Park or Braintree office locations at 781-843-2200 or toll free at 781-843-2200.